Getting to the airport on time… one of life’s more difficult challenges! There always seems to be a few hurdles in the way. Good thing we’ve eliminated them at UKACP with our deals on Glasgow Airport hotels. It is only right that you start off your trip in style – whether you are travelling for business or pleasure. So, why not book into a Glasgow Airport hotel for the evening? We have a number of great hotels for you to choose from and we make it easy for you to pick the best one for you. All you need to do is pop your details into the search box and we will show you all of the suitable options. You can then order your results based on what is most important to you. Are you looking for the cheapest hotel? Perhaps you want a hotel with a good gym so you can get a good workout before your flight? The possibilities are endless. You can also book a Glasgow Airport hotel with parking amongst other extras. Found a hotel you’re happy with? Great! Click ‘book now’ to do exactly that. The process is really easy. When it comes to outstanding hotels it doesn’t get much better than the Normandy Hotel. Start your holiday early. Not only is the Normandy Hotel a top live entertainment venue, but it has been voted the best Airport Hotel Restaurant for two years running at the Holiday Extra Awards. You seriously have to give the dining options a try because believe us.. they are fantastic! 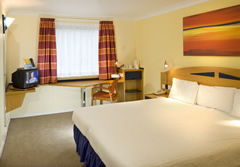 You have a number of great family friendly hotels situated near Glasgow Airport. Both the Premier Inn and the Holiday Inn Express are just two examples of recommended places to stay if you are going away with your kids. Both offer a comfy, clean and friendly stay with larger family rooms. You will even get a free hot breakfast at the Holiday Inn Express... That's got to be a good idea for travelling families! Convenience is usually the name of the game with looking for an airport hotel. 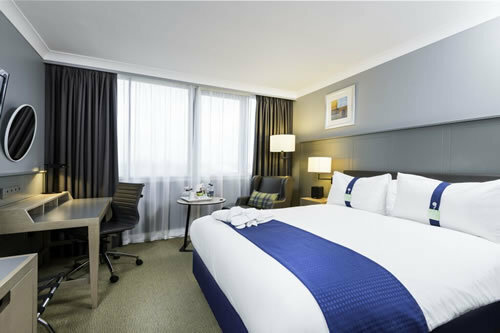 It doesn’t get much more convenient than the Holiday Inn and Ramada Glasgow Airport Hotel. Both are in walking distance of the terminal. Enjoy a little bit longer in bed before your flight! 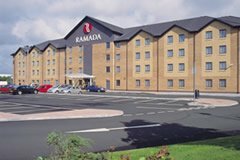 If you are looking for a hotel with good disabled facilities you should consider the likes of The Normandy Hotel, Ramada, Erskine Bridge, or Holiday Inn. 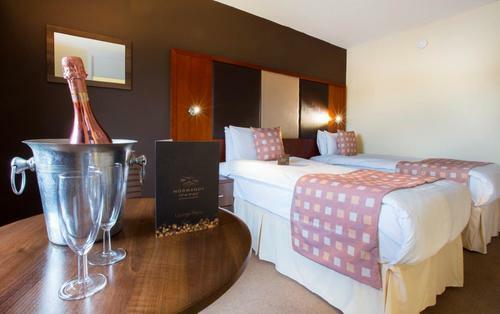 Ther Erskine Bridge hotel even has a room which has been specially adapted for disabled guests. Don't forget that if you decide not to stay in a hotel the night before you fly you can still save money on our Glasgow airport parking packages. We will always save you anything from 15 to 60% compared to the car park gate price.